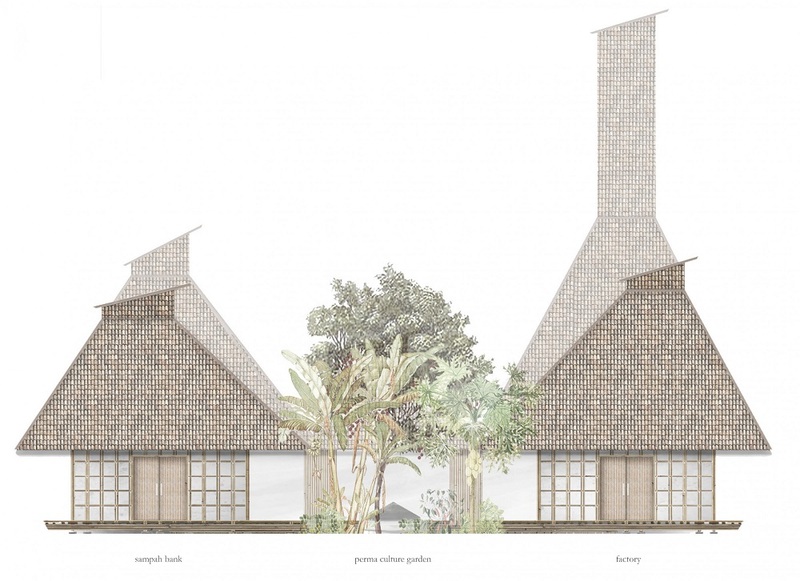 Frederice Koch designed a waste recycling facility on the outskirts of Bandung in Indonesia. The project seeks to reduce the stigma attached to waste and instead promotes the idea that waste can be a valuable resource for the production of new materials. I had become interested in using unwanted/ non-standard materials for architecture purposes the semester before my graduation year started, during a hands-on semester where I explored the possibilities of recycled plastics as sun shading for a school. 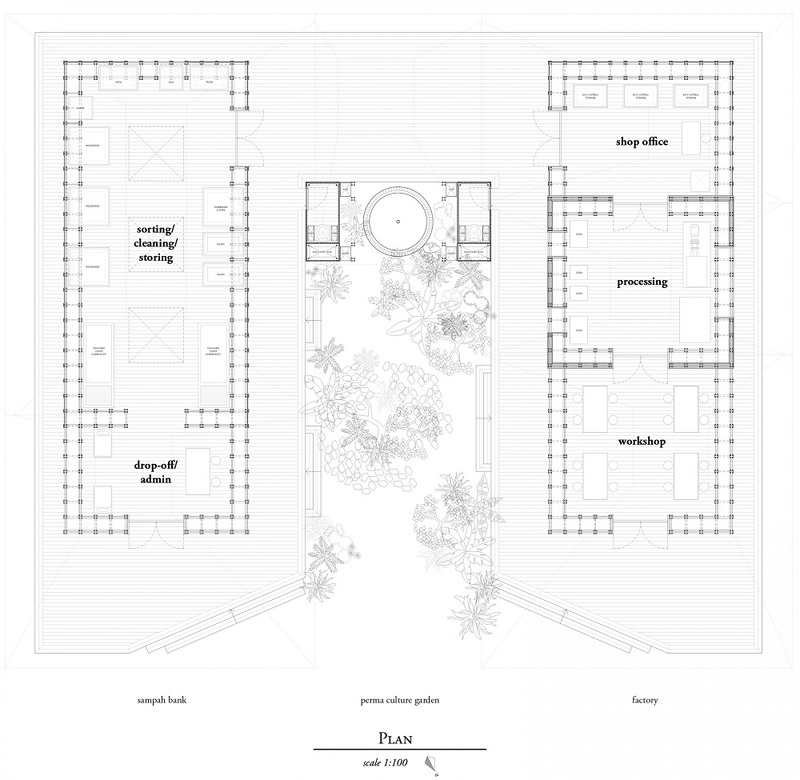 Having always been keen to work in a completely different context than what I am used to, I felt that the studio based in the Indonesian context would give me the opportunity to study a very different culture and would thus challenge me as a designer to get the right feel for the project to be able to design in a manner sensible for the context. The added element of a self-build typology evolved to a large degree from the culture observed, but is also a long standing passion of mine. I am always keen to really understand how things go together and am interested in building structures myself. My source of inspiration changes from project to project. 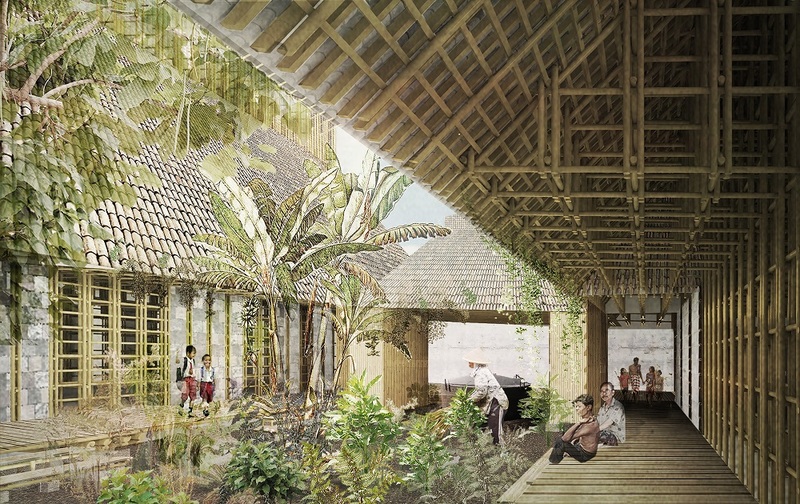 For this project I looked particularly at bamboo architecture and with that a lot at Kengo Kuma and Vo Trong Nghia. As a general rule, I try to approach a design project from the simplest starting point possible. 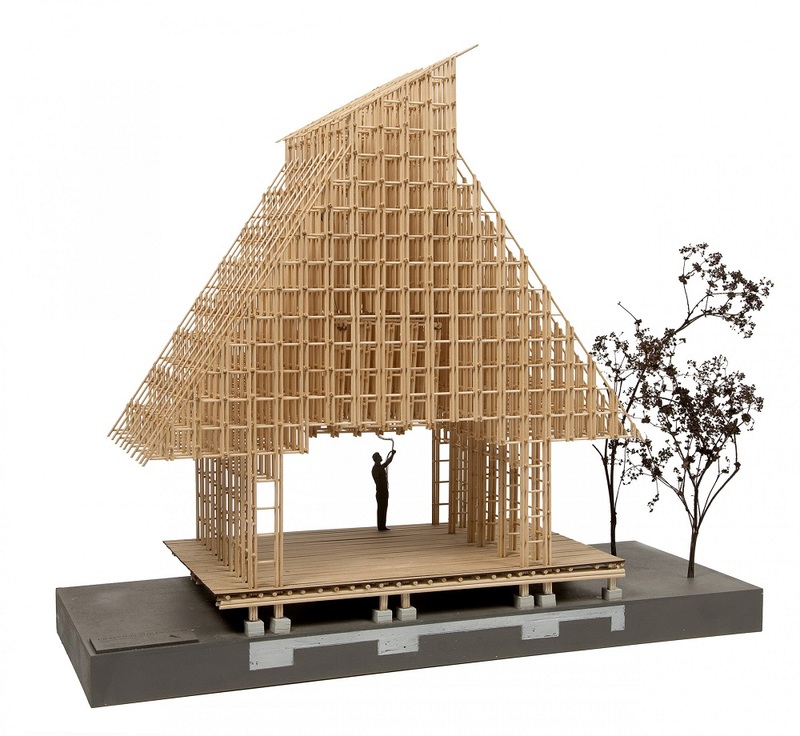 Shigeru Ban is a great source of inspiration for me in the way that he makes use of unusual yet available materials such as card board tubes and always designs towards the needs of the local population and the time. Especially with his disaster relief architecture. I was quite set with my graduation theme even before starting my graduation year. But somehow, as things so often go, I started to get a little lost about three quarters in for quite some time – around the time when I tried to make sense of the layout and all things related to the fluidity of the programme. But a chat on a walk through Rotterdam with a visiting friend got me back on track. I often find that these casual moments with people who haven’t been close to the project are incredibly helpful. Pollution caused by waste is becoming an increasingly serious problem, certainly in Indonesia where the waste tips are overfull. This means that most waste gets dumped at the roadside, thrown in the river or burnt. Another factor, along with the scarcity of good storage and processing facilities, is the lack of local knowledge on how to deal with this problem. 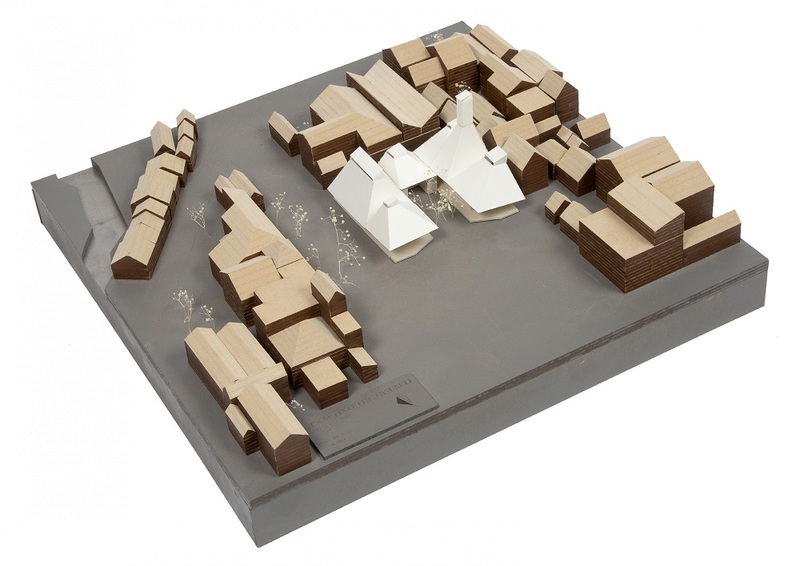 ‘Crafting The Disused’ proposes an alternative approach to managing waste flows, namely to stimulate the recycling of waste as building materials using a series of decentralized local facilities where the production process can take place. 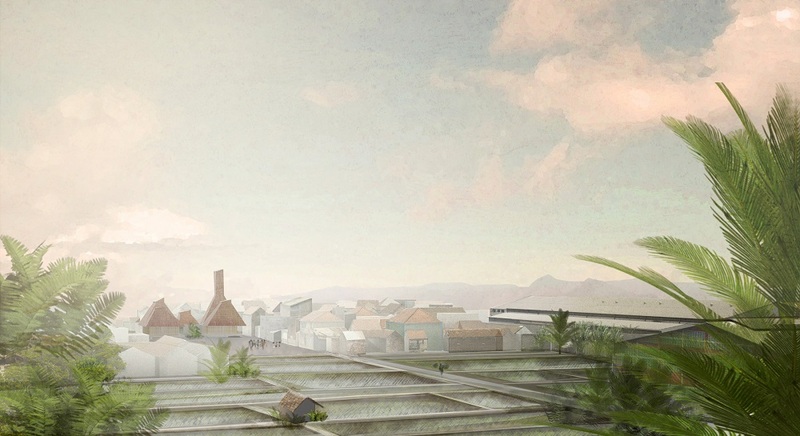 The project makes a case study of Cigondewah, an industrial kampung (village) on the outskirts of Bandung. Here, the by-products of the daily life of the local community have their useful life extended. Informed by on-site research and a dialogue with the inhabitants, the designed facilities enable the local community to organize its own waste management and open the way to a sustainable densification for Cigondewah. The design uses just locally cut bamboo and building materials produced locally from waste. Its construction is such that the locals can themselves assemble the building, which is designed as a dedicated flexible and open structure. 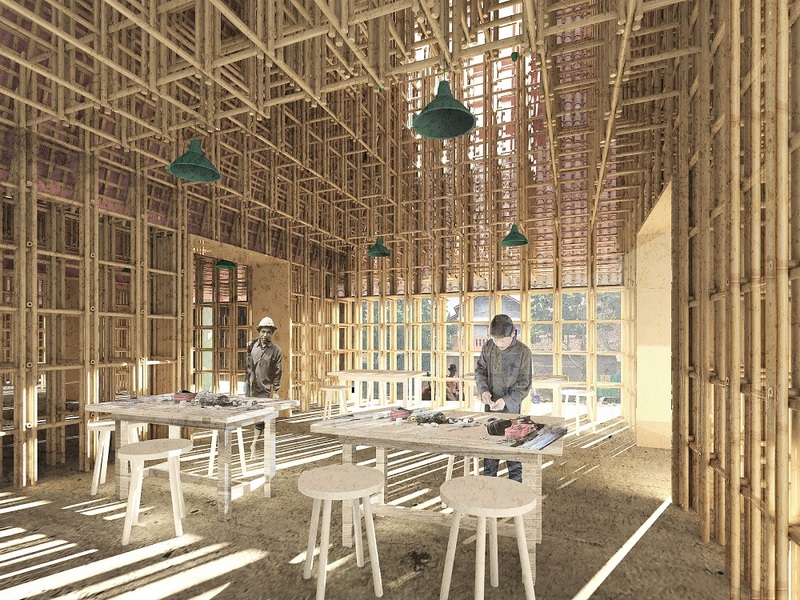 The basic structure is inspired by traditional bamboo scaffolding and provides storage space as well as ventilation (a prerequisite in the humid climate). Steering a middle course architecturally between a waste bank and a recycling and reprocessing plant, the building is to encourage locals to address the process of waste management and in particular the creative reuse of waste. The income they generate with the integrated waste bank underscores the view that waste is a valuable resource that can be made use of according to one’s needs. Since I have graduated, I am working for Wilkinson Eyre Architects in London. Funnily enough my current work is not at all related to my graduation project and is focusing on commercial high rise projects predominantly in the Canadian context. While I am considering my future career to be in a more socially focused direction of architecture, as well as more hands-on, I made a conscious decision to work for a large commercial company for a period of time simply to broaden my experiences. I am hoping to start my Part 3 (the last part needed to qualify as an architect in the UK. One could compare this to the Dutch trainee system) this September and would subsequently like to move towards a smaller scaled practice with focus on local community problems and opportunities. Eventually, I would like to set up my own company with a colleague of mine. But that is certainly a long way further down the line.